HTCycle has received funding from the European Union’s Horizon 2020 for research, technological development and demonstration under grant agreement No 823124. The funds will be used to perform our unique cutting-edge hydrothermal carbonization (HTC) technology. The sewage sludge reuse generates phosphate recovery, heavy metals and pharmaceutical residues extraction, the work is dedicated to the final integration tests of the whole process of hydrothermal carbonization (carbonization, separation, drying, recovery of phosphate and other valuables). Theme: Sewage sludge reuse with Phosphate recovery and heavy metal absorption with an innovative HTC technology. 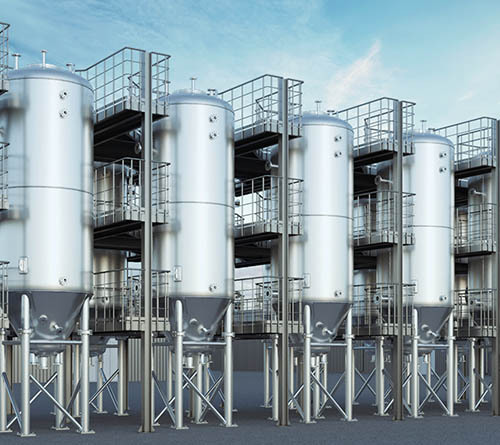 HTCycle has the objective to adapt and rebuild a demonstration 2-reactor plant for HTC sludge treatment in Relzow (Germany) and to run demonstration tests and evidence the suitability of HTC as an optimal sludge disposal and resource recovery pathway. Sludge of the local WWTP will be treated and transformed into HTC-coal (used for process energy), activated carbon (used for water purification) and recycled phosphorus. We aim to demonstrate and commercialize the proprietary technology for hydrothermal carbonization (HTC) using sewage sludge as raw and main material, showing clearly technical and economic advantages against the current sludge disposal methods, especially against incineration. At the same time, we aim not only to treat the sewage sludge, but also to transform it into high-value products such as fuel, activated carbons for water treatment, soil remediation material and to recover nearly 100 % of the phosphorus (circular economy approach). In addition, 95% of the heavy metals are removed. Our HTCycle process will turn the present sewage sludge disposal from a costly process into an income-generating activity. >> Adapt a demonstration HTCycle plant for demonstration of sewage sludge treatment in Relzow (Mecklenburg-Vorpommern, Germany) and produce market relevant HTC products such as bio-coal, active carbon, recycled phosphorus and ammonium sulphate. >> Create and demonstrate a circular business approach (sewage sludge from the WWTP – HTC- activated carbon for water purification to the WWTP). >> Run demonstration tests for interested clients in Germany as a key market and invite potential clients from Switzerland, Belgium and Holland and perform the technical and economical due diligence for investors, banks and project finance departments. >> Recover more than 90% of the carbon in sewage sludge through conversion to HTC-coal. >> Strengthen the economic competitiveness of sludge handling and WWTP operators. >> Tackle market entrance barriers by standardization and certification of the modules, compliances with regulatory issues, new finance and business models, in-depth market assessment and business plans for EU28 countries. >> Creation of new jobs and income opportunities through the production and sales of valuable HTC products.